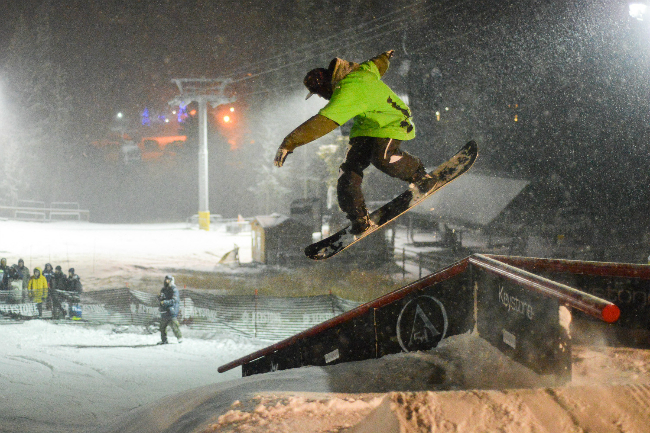 11/16/2013 – Only two weeks after opening, the Keystone A51 crew kindly brought the park down to River Run base area for the Back to the Grind Rail Jam. 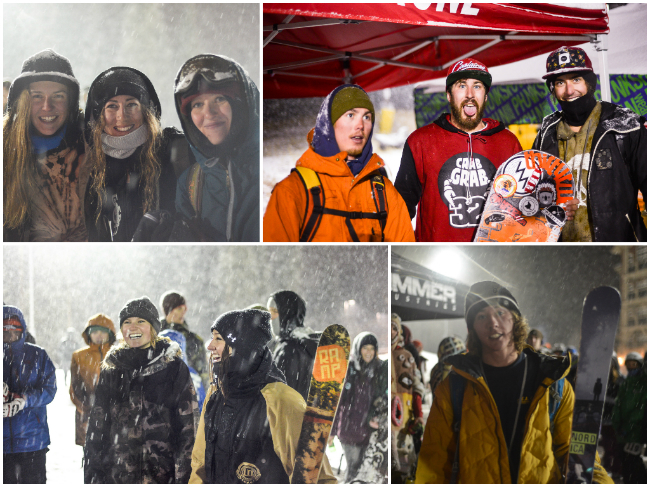 Competitors and viewers alike were pleasantly surprised with heavy snowfall throughout the evening. The hindered visibility didn’t stop skiers and riders from sending it huge. 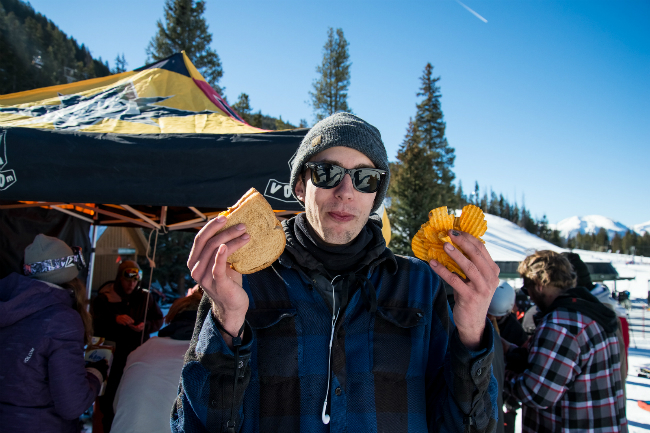 1/25/2014 – The fourth stop of the Volcom Peanut Butter & Rail Jam went down at the base of Mountain House at Keystone. In order to win, competitors had to hit all 3 features to qualify for the win. 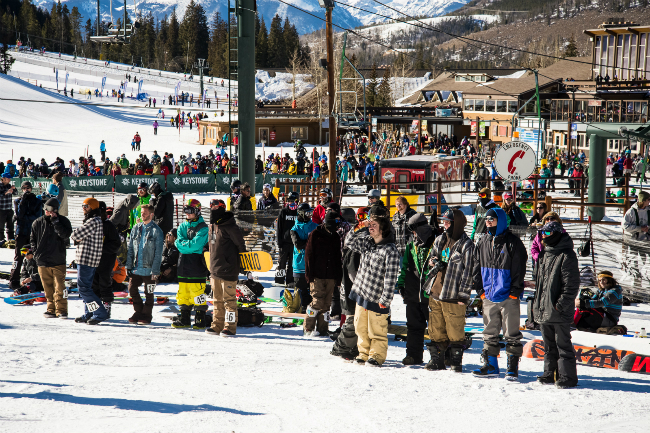 Although it presented a major challenge to those who clearly had a favorite feature, they pushed their limits and had some fun on the Volcom rails. 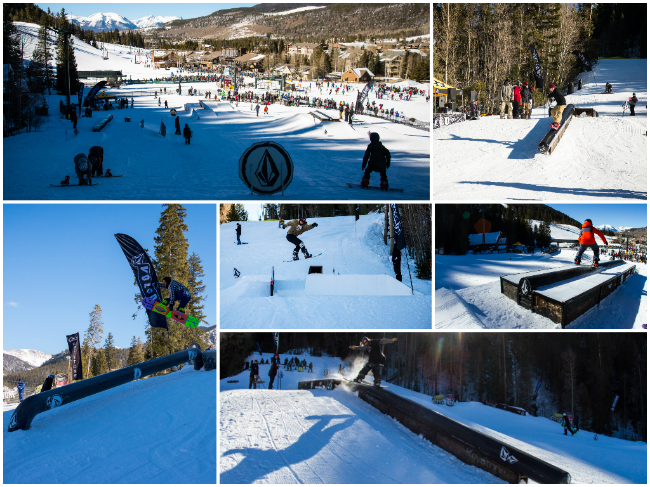 2/2/2014 – The most recent was the TransWorld Smowboarding TransAm, which went down at the base of Mountain House at Keystone. As you can see below, riders were going big, and getting inverted. 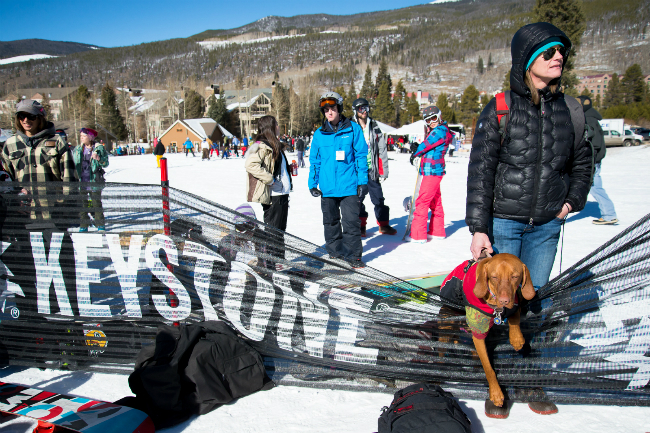 Keystone is the place for freestyle fun. 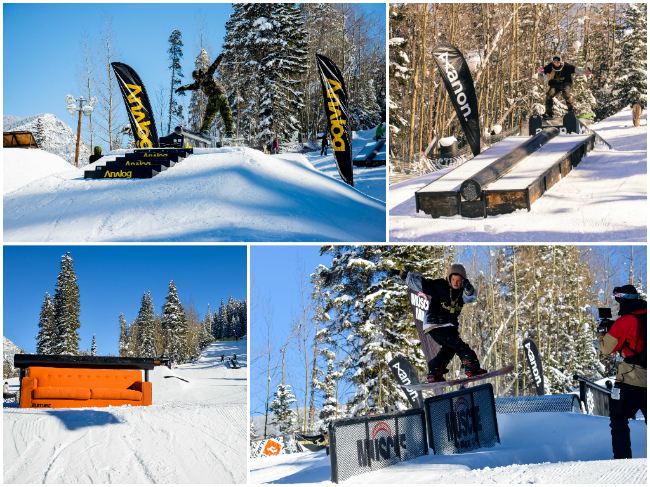 With new features every year and a stockpile of rails to be used throughout the season, the name of the game is rail jams and other fun freestyle events based around our village areas. Whether it is fun under the sun in the park or a smooth set up under the lights, our aim is endless park sessions. 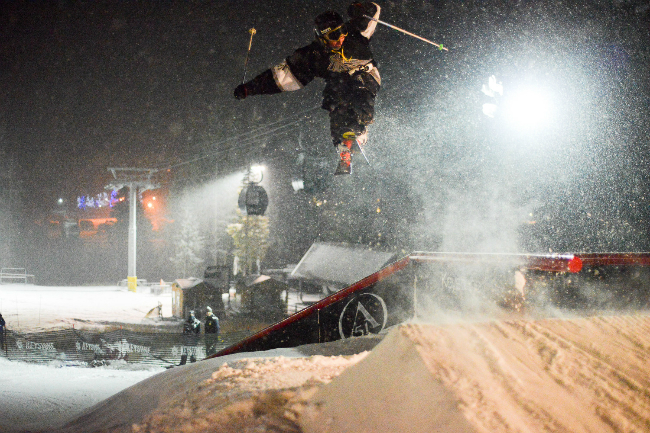 Come out to one of our many park events throughout the season and see why our A51 Park Crew is at the top of the park building list and regarded as innovators in creating freestyle features. To keep up with what Keystone A51, follow them on Facebook, Twitter(@KeystoneA51), and Instagram (@KeystoneA51).